Life is Strange Episode 5 Review | Nerd Much? Life is Strange, one of the most critically acclaimed games of 2015, has just released its final chapter for all platforms this Tuesday. After the dark and unsuspecting cliffhanger of episode 4, fans wanted to know why. Many questions, although explored, were left unanswered, only for the finale to wrap everything up. Fast forward a few months later, and DONTNOD’s amazing series has come to a close. 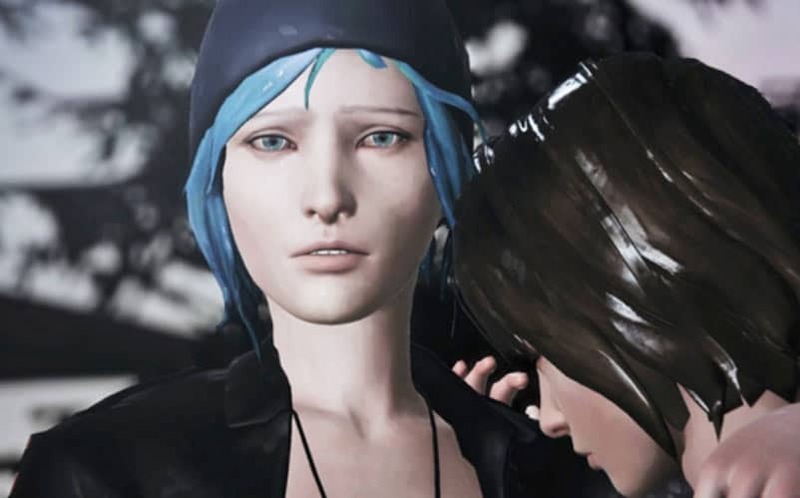 Does Life is Strange Episode 5 leave the series with a satisfying ending? Episode 5, titled Polarized, starts off in the dark room, the mysterious place hidden away in Arcadia Bay. 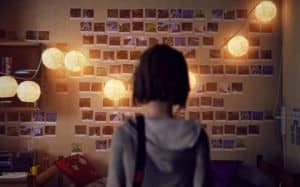 This is the very place that connects all of the issues explored in Life is Strange, as players discovered in episode 4. Max is strapped to a chair after being captured by the main antagonist. She’s in a moment of life and death and the players must figure out how to get out of the situation. The writing at this part is incredibly well done, exploring the mind of the antagonist, while creating a very disturbing atmosphere. Max discovers that she has to use her powers in order to travel through time, branching off into alternate universe. The scene in which she tries to change what happened really shows Max’s character development. No longer was Max the shy, quiet girl in class. She was confident, to the point, and outspoken. Her goals were clear, to save Arcadia Bay and her best friend Chloe. The first universe is seemingly perfect. Max thwarts the antagonist’s efforts, she becomes a celebrity in the California photography scene, and everything seems to be in place besides one thing. Arcadia Bay is still going to be destroyed. A phone call from Chloe in a panic causes Max to risk everything again, further manipulating time. It seems as if Max would do anything for Chloe, no matter what the risk, even at the cost of Max’s life. This time leap brings her back to the Dark Room, where she faces death once again. The banter between Max and the antagonist are very profound at this moment, revealing quite a bit about their characters and further explaining why the twisted events occurred in Arcadia Bay. This scene is one of the best in the entire season, especially when one character intervenes in a moment of action. Players are put on the edge of their seats when they have to reverse time and manipulate different parts of the environment during a showdown. After this intense moment, players are presented with a major moral choice that really shows a lot about the character involved. Although this character was initially hated, there is no doubt that he had good intentions. After these events, players must go into the storm, which acts as a way to have a final interaction with several of the major side characters that resolves issues that were presented across the episodes. This was done very well, especially with the characters of Warren, Joyce, and Frank. A moment of fear is mixed with character development and resolve is explored. After this, Max is given one more chance to stop the storm, which leads into the most interesting part of the game. 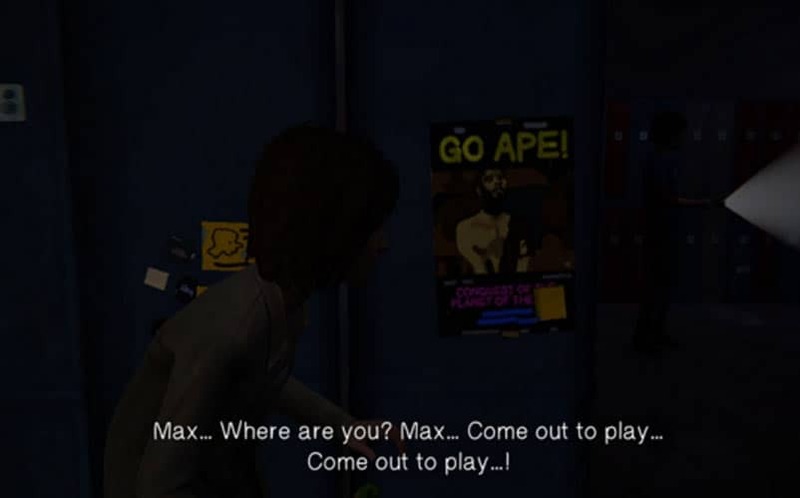 Life is Strange was always…strange. It wasn’t a typical episodic adventure, but the wide variety of characters and settings made the story unique, especially with its realism and supernatural elements. However, at this point, Max’s mind and contacts with multiple realities are explored in a psychologically frightening disposition. This was an amazing turn in the plot, because all of the universes started combining while Max had to explore her inner thoughts and feelings. Extreme versions of the characters were coming after Max, including herself. It’s up for the player to decide if this was all in Max’s mind or if it was simply the result of multiple realities being manipulated and changing the course of time. Time travel theories revolve around the butterfly effect and chaos theory, in which every action has a consequence and changing from multiple worldlines will ultimately result in chaos, or the storm in Arcadia Bay. Alternate worldlines still exist, but in different branches. At this part, everything is clumped together, ruining the world. It’s really interesting because much of the focus of this is on Chloe, Max’s best friend turned love interest, and their relationship together. Many of the feelings Max experiences deal with her, suggesting that she is the most important part of Max’s existence. After the complex psychological segment is completed and Max “wakes up” players must decide what to do about the storm that is to destroy the town. The decision is, of course, the hardest choice in the game, especially concerning moral values. Sacrifice and reversing time are the two concepts that are heavily explored in this sequence. Either ending will result in death, so there is no “right” answer. That being said, both endings are written well but there seems to be something missing. There are two things missing from the finale, multiple endings and consequences of all the major choices. Although the two endings and choices are beautifully executed, there should have been at least one more choice, or multiple choices. Many fans longed for another path that may have been a neutral way out or even an ending with another character. Another negative aspect that was proven through episode 5 was the consequences of previous choices, including major ones. Honestly though, it’s hard enough to make a game that branches into multiple paths, and DONTNOD did a phenomenal job through their writing and choice system. It just would have been nice to see every choice have a significant consequence. Overall, the finale of Life is Strange is a masterpiece, much like the series itself. Really focusing on character development and Max’s psyche, episode 5 stood out as the best installment in the entire episodic adventure. The many side characters showed their true selves and were each given a proper send off. Psychological horror and the complications of time travel mixed with intense moments made each part of this episode worth while. Although both endings were well written and posed moral ambiguity, the only thing episode 5 really needed was more choices and more paths for the players to decide. Is there room for a season 2? Since the endings branched off so drastically, it’s hard to say. However, there is room for a possible, especially if a neutral option is explored then. It would be interesting to see what happens next, and anything is possible in a world of time travel and multiple worldlines. One of the best finales, ever.